RT to Win our Breathe Right Fetch Stick! RT to Win Crufts 2018 tickets! RT to win a paw-some Chuckit! collection! 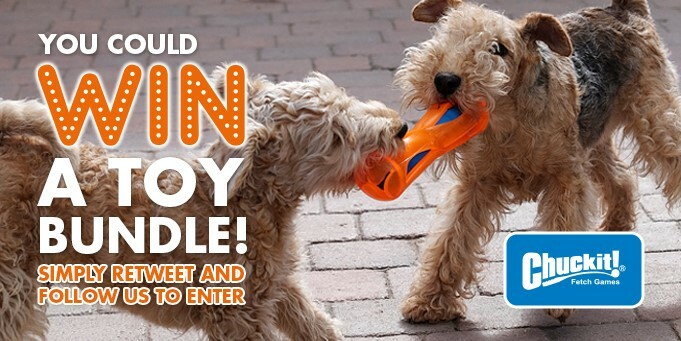 How would you and your pooch like to get ahead of the pack and get your paws on our complete new range of toys? Well, now you can! Simply keep your puppy dog eyes peeled on our Twitter page as we’ll be giving away toys from our brand-new Hydro, Lacrosse, Mountain Rope Tug and Breathe Right collections, giving the winner and their furry friend even more ways to play this summer! And the winners of the 2017 Chuckit! 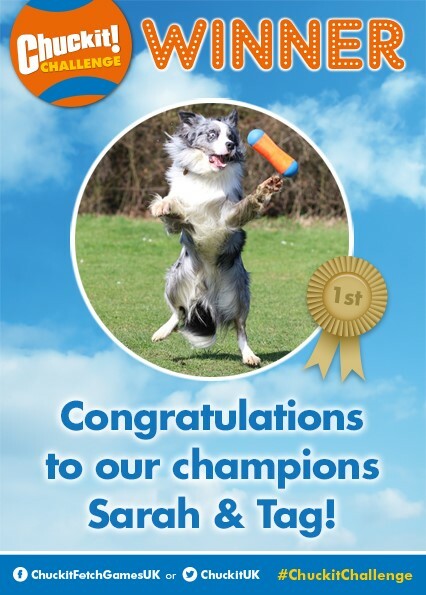 Challenge are… Sarah and Tag! It's time to say a big congratulations to all of our finalists, and our winning duo!